Allspice, with the scientific name Pimenta dioica, is a mid-canopy tree native to the Greater Antilles, Southern Mexico and Central America. The name ‘allspice’ has been given for its aromatic flavor that seems to be a combination of cinnamon, nutmeg and cloves. Also known as Jamaica pepper, kurundu, myrtle pepper, pimento or newspice, Allspice is derived from a dried, unripe fruit, native to Caribbean. The plant starts bearing fruit at the tender age of three years, with a cluster of small white flowers between June and August. Unripe green berries, generally, picked up when they reach full size and then subjected to sun light drying thoroughly. Thus, shriveled berries appear similar to brown peppercorns, measuring about 6 mm in diameter but contain two seeds unlike peppercorns, which have only one centrally placed seed. In the US and western culture, allspice seasoning is used in many desserts like cookies, cakes, fruit pies, puddings ice cream and pumpkin pie. Not only are the ground allspice berries used in the famous Caribbean jerk seasoning, the wood is used to smoke "jerk" meats like pork, chicken, and beef while the leaves are used as food wrap in Jamaican style cooking. 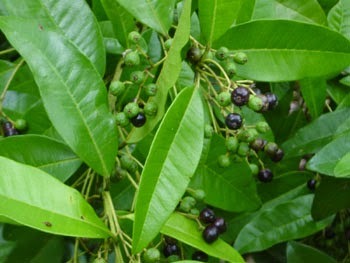 Allspice (also known as kurundu) is used in many Jamaican soups, stews, and curries. In Middle Eastern cuisine it is popular to flavor a variety of stews and meat and rice dishes. Some Indian curries and pilaus contain allspice and in the West Indies, an allspice liqueur called "pimento dram" is produced by macerating allspice in rum. Allspice is also used in other liqueurs, particularly Benedictine and Chartreuse. Among several purported benefits, allspice components may help ease digestive problems, reduce pain, fight disease-causing pathogens and improve circulation. As with any natural remedy, consult your doctor before using allspice. Today, allspice is cultivated in many parts of the world, for being used as an effective digestive aid and a natural remedy for mild pain relief. Allspice is believed Allspice was used by the Mayans as an embalming agent and by other South American Indians to flavor chocolate. The Arawaks were though to have first settled on the borderland between Bolivia, Peru and the forests between the Amazon and Orinoco Rivers. They migrated northeast to Venezuela and Guyana, where some settled while the rest pushed across the Caribbean. Allspice is known to have aromatic and sweet smell and hence it forms an important condiment in kitchens across the world. The active principles in the allspice found to have been anti-inflammatory, rubefacient (warming and soothing), carminative and anti-flatulent properties. It is a good source of niacin, helping the body in detoxifying harmful compounds. Allspice contains health benefiting essential oils such as eugenol, a phenylpropanoids class of chemical compound, which gives pleasant, sweet aromatic fragrances to this spice. Allspice also contains caryophyllene, methyleugenol, glycosides, tannins, quercetin, resin, and sesquiterpenes. At the processing units, these volatile essential oils are obtained through distillation process using this spice corn. The outer coat of the allspice-berries is believed to have the greatest concentration of some of the compounds of medicinal activities. 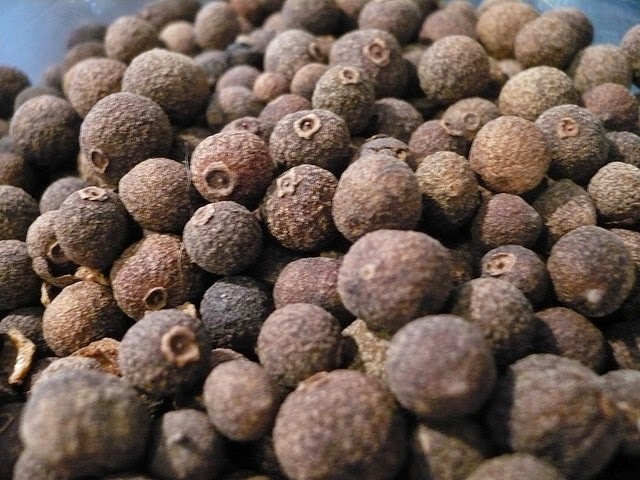 As in black peppercorns, the active principles in the allspice may increase the motility of the gastro-intestinal tract as well as augment the digestion power by increasing enzyme secretions inside the stomach and intestines. Eugenol, has local anesthetic and antiseptic properties, hence; useful in gum and dental treatment procedures. Recent research studies have shown that preparation made from allspice oil mixed with extractions from garlic, and oregano can work against E.coli, Salmonella and L.monocytogenes infections. The spice is enriched with the good amount of minerals like potassium, manganese, iron, copper, selenium, and magnesium. Iron is an important co-factor for cytochrome-oxidase enzymes during cellular metabolism. Being an important component of cell and body fluids, potassium helps control heart rate and blood pressure. Manganese is used by the body as a co-factor for the powerful antioxidant enzyme, superoxide dismutase. 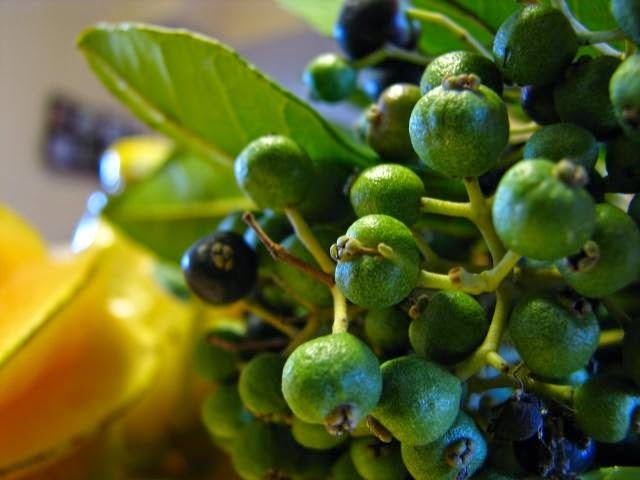 Allspice is enriched with good amount of iron that is required for red cell production in the bone marrow. Further, the spice also contains very good amounts of vitamin A, vitamin B-6 (pyridoxine), riboflavin, niacin and vitamin-C. Vitamin C is a powerful natural antioxidant; regular consumption of foods rich in vitamin C helps the body develop resistance against infectious agents and scavenge harmful, pro-inflammatory free radicals. Allspice is an aromatic stimulant and carminative for the gastrointestinal tract and is a natural source of beta-carotene, vitamins B-1, B-2 and C. The essential oil, eugenol derived from the allspice berry has been in therapeutic use in dentistry as a local-anesthetic and antiseptic for teeth and gum. The decoction obtained from this spice sometimes used in treating flatulence and indigestion in traditional medicine, but there is little or no data to support these claims. Excessive use of allspice can lead to seizures. In addition, it can result in nausea, appetite loss, vomiting, and stomach discomfort. Allspice is advisable not to combine herbs with drugs, as it can result in unwanted side effects. Strictly avoid taking herbs with mineral supplements, especially iron. The herb should not be used during chronic digestive disease, like duodenal ulcers, reflux disease, ulcerative colitis, irritable bowel, and diverticulosis. Individuals with history of cancer or those who are a risk of cancer should not delve on this herb as Eugenol, a substance found in Allspice, can promote cancer. Excessive use of herb can also lead to skin rashes, contact dermatitis and other skin problems. Hence, people with skin allergies should not take allspices in their food. Allspices should be avoided during pregnancy and breast feeding.